Newconn have been installing cables of all sizes and distances for WPD Contracting, Stirling Power and various other clients since 2004. During this time we have undertaken a number of challenging installs together with countless standard installations. We are very experienced and skilled at tackling difficult cable installation projects, especially through buildings on tray work/ladder racking, at height from MEWPS, through risers in tower blocks, tandem winching operations and standard cable installation through ducts and trenches. The Friars Walk shopping centre redevelopment, Newport city centre where we installed approx 1.5 Kilometres of 11KV cable at height on ladder racking. We have installed main cable risers in the Cardiff Bay Tower Block New build developments over the past 4 years, this involves winching large cables 18 x stories through risers. We delivered 3 x large solar farm projects for Stirling Power where we excavated and installed 5 kilometres of 33KV Cable, 3 x kilometres of 33KV cable and 5 x Kilometres of 11KV at the separate sites. 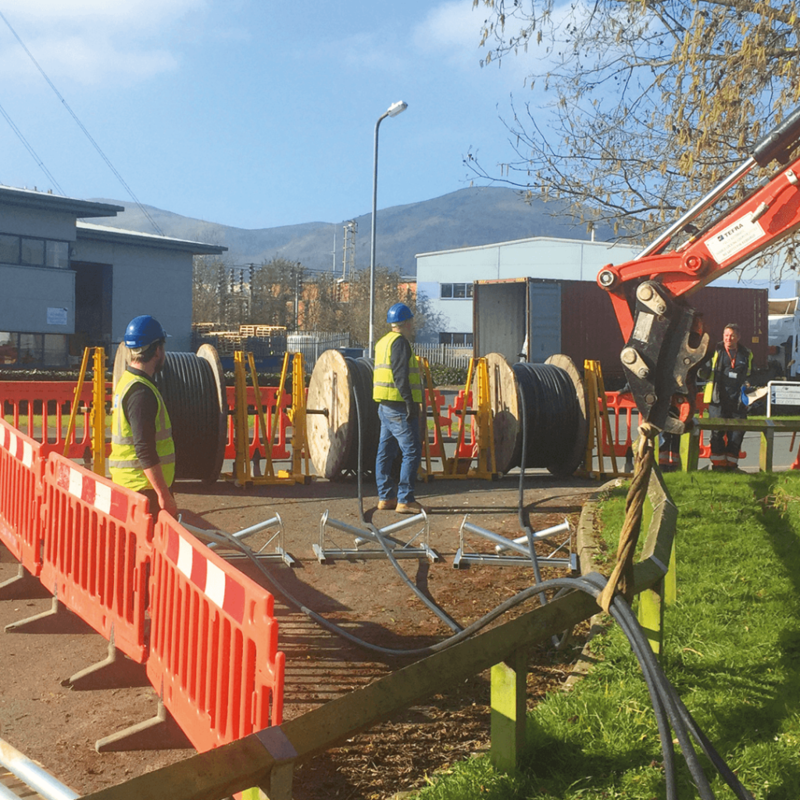 These projects are an example of the scope of cable laying we are able to carry out.